Japamala Resort by Samadhi is Tioman Island�s only boutique resort and one of the three Samadhi Retreat properties in Malaysia. This small and exclusive resort of 13 rooms is hidden amidst 11 acres of lush tropical rainforest, where charming Malay, village-styled villas and chalets are positioned in the most breathtaking spots. Best described as an eco-luxe resort, Japamala Resort by Samadhi transcends the experience of living close to nature by redefining it with a touch of luxury. Designed by natural streams, steep cliffs, towering boulders, and where no trees are fell, the entire resort borrows from nature its elements to offer an exceptional sense of paradise and freedom from the real world. Designed for both business and leisure travel, The Nipah Chalet is ideally situated in Kampung Nipah; one of the city's most popular locales. From here, guests can enjoy easy access to all that the lively city has to offer. With its convenient location, the hotel offers easy access to the city's must-see destinations. 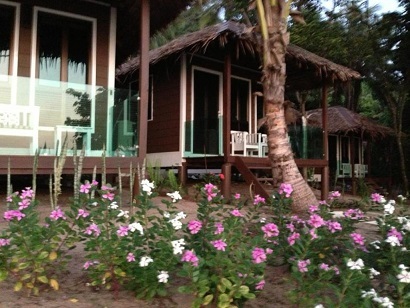 The Nipah Chalet also offers many facilities to enrich your stay in Tioman Island. To name a few of the hotel's facilities, there are restaurant, family room, tours, laundry service/dry cleaning. Hotel accommodations have been carefully appointed to the highest degree of comfort and convenience, with fan, balcony/terrace, shower in each room. The hotel offers an excellent variety of recreational facilities, including private beach, water sports (non-motorized), garden. 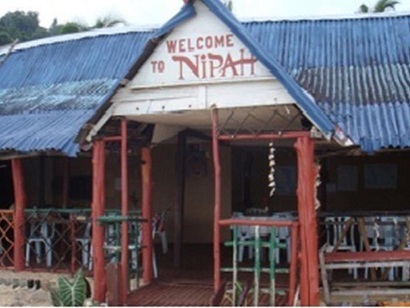 The Nipah Chalet is your one-stop destination for quality hotel accommodations in Tioman Island. This 3-star property is located on one of the world's 10 most beautiful islands, providing a perfect escape from the hustle and bustle of city life. Nestled in a secluded area next to the forest, this property offers refined chalets with food and beverages facilities. For leisure, guests can enjoy sunbathing on the white sands, swimming in the azure waters, snorkeling, scuba diving along the stretches of coral reefs, windsurfing, or cruising around the many unexplored islands. Experience the jungle trekking into the island's interior to explore the hidden waterfalls, exotic flora and fauna, and go cycling. 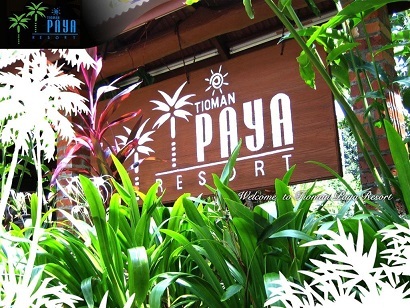 Discover the secret magic of the island and its natural beauty while staying at Tioman Paya Resort. Tucked away in one of the most beautiful islands in the world according to Time Magazine, this mystical island is said to be the last resting place of the mythical dragon princess. Surrounded by pristine warm waters, Tioman Island is a perfect destination for a relaxing vacation and snorkeling and diving enthusiasts. 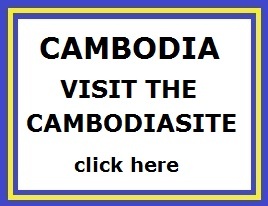 Set out for jungle trekking and visit the handicraft stores. There is much to see in Endau Rompin National Park, Ash Waterfalls, and Monkey Bay, and being a duty free destination, you can really shop! Built in 1985, Impian Inn boasts 37 rooms and suites that are suitable for couples, groups, or even individuals. All rooms feature air conditioning, a heater, in-house coffee and tea making facilities, and all other basic amenities required for a comfortable stay. An ideal place to relax and a great place to capture breathtaking sunsets every evening, this resort is surrounded by spectacular rainforest and guarantees an uncompromising and professional service. All in all, Impian Inn is definitely worth the stay. Secluded in a peaceful area in Tioman Island, Tunamaya Beach & Spa Resort is a two-hour ferry ride from Tanjung Gemok jetty. Boasting a relaxing and excellent location, the resort offers guests many activities such as snorkeling, a spa, and souvenir shop. Genting Village is about 15 minutes away by boat, while the Tekek Airport on Tioman Island takes approximately 30 minutes. In addition to its fantastic location, Tunamaya Beach & Spa Resort offers spacious and uniquely designed villas with a balcony overlooking the beach or rainforest. The air conditioned villas come equipped with a flat screen satellite TV, an electric kettle, and tea/coffee maker. After a long day, guests can indulge in pleasure with some massages or a luxurious body treatment at Tunamaya�s Sarang Spa. Family with children can enjoy the resort's babysitting service. 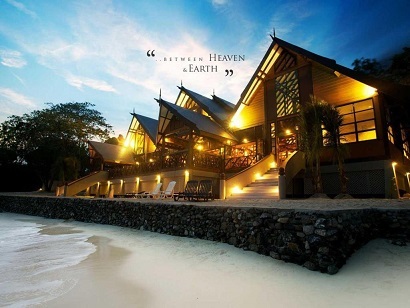 Tunamaya Beach & Spa Resort is simply perfect for a getaway. 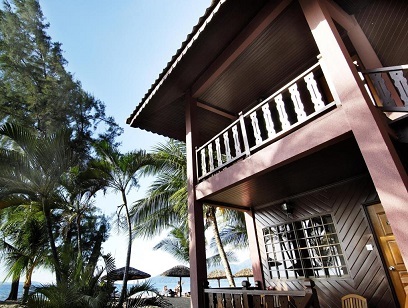 If what you're looking for is a conveniently located hotel in Tioman Island, look no further than 1511 Coconut Grove. From here, guests can enjoy easy access to all that the lively city has to offer. With the city's main attractions such as Asah Waterfalls, Pulau Tioman Airport, Mukut Waterfalls within close reach, visitors to the hotel will just love its location. 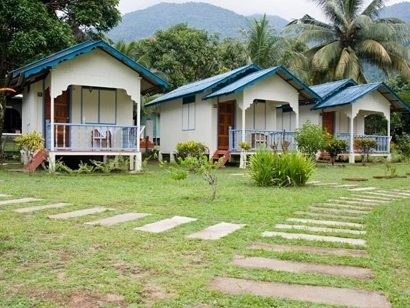 1511 Coconut Grove also offers many facilities to enrich your stay in Tioman Island. This hotel offers numerous on-site facilities to satisfy even the most discerning guest. In addition, all guestrooms feature a variety of comforts. Many rooms even provide internet access � wireless, internet access � wireless (complimentary), non smoking rooms, air conditioning, desk to please the most discerning guest. The hotel offers many unique recreational opportunities such as water sports (non-motorized). Enjoy unparalleled services and a truly prestigious address at the 1511 Coconut Grove. Located next to one of the world�s oldest mangrove swamps and the tropical rain forest, this beachfront resort also boasts a spectacular house coral reef. 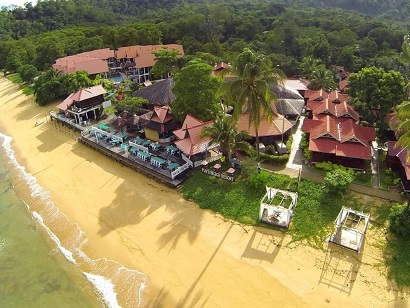 Paya Beach Spa & Dive Resort is the perfect getaway on the Tioman Island, the infamous volcanic island covered in rainforest, white sands, turquoise water, and unforgettable experiences. Paya Beach Spa & Dive Resort is ideal for visitors who seek to enjoy nature�s gift, nestled in a secluded beach with rooms overlooking the South China Sea. The wide range of facilities at the hotel includes spa, an outdoor pool, beach bar, grill, conference and meeting rooms, restaurant, and PADI dive center. Fishing, snorkeling, and ecological trekking tours of the mangrove swamp and the rainforest can be arranged at the Activities Center. Restaurant and grill is driven by a passionate executive chef with a team that can create the works of gastronomic art in the only open kitchen on Tioman Island. Paya Beach Spa & Dive Resort invites all visitors to come and experience the unforgettable experience of picturesque views of the sea from the rooms.